I regularly stop by a couple of blogs that participate in a rather cool meme: Cover Characteristic. 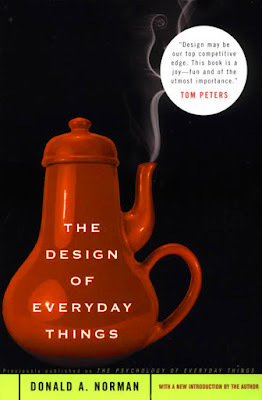 Each week, the participants choose five covers that show a cover element posted on the hosting blog, Sugar & Snark, post them on their own blog and add their link to the links on the hosting site. 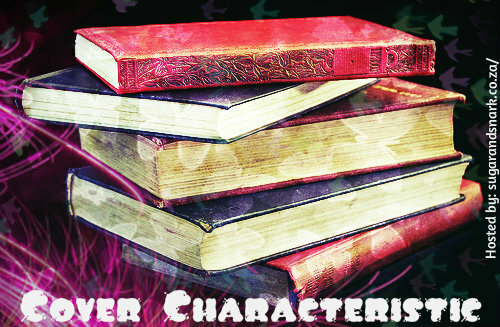 I have enjoyed looking at what the participants have come up with, but this week's characteristic proved irresistible and I decided to finally participate. 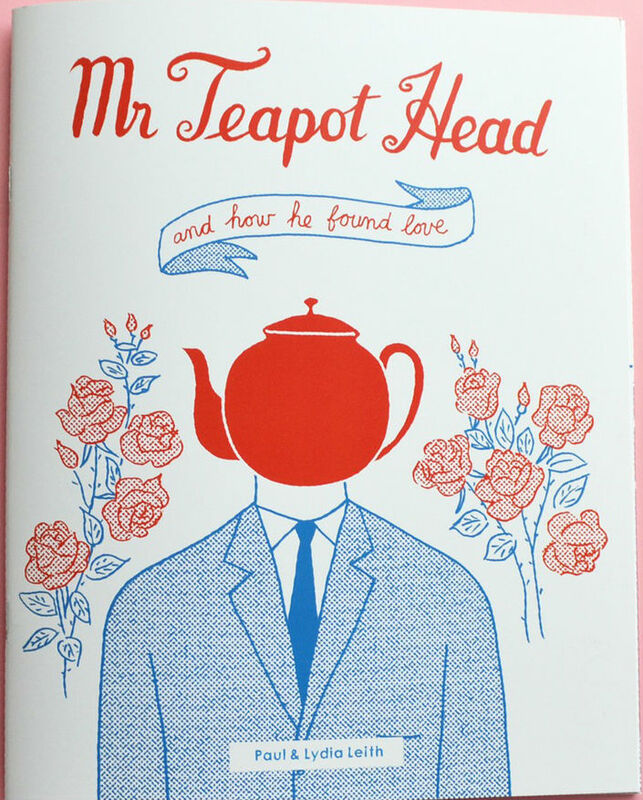 The characteristic is teapots, a subject close to my heart, as I used to collect novelty teapots and am still a great tea lover. 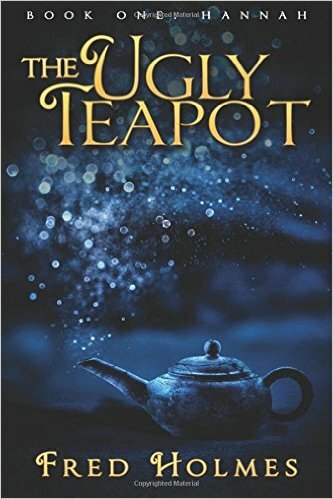 When you mention teapots on book covers, three things come to mind: cozy mysteries, cosy romances and books about tea/teapots. I, however, decided to get creative. 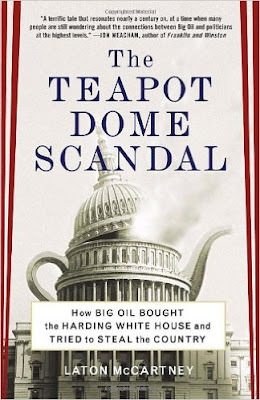 The covers below were not chosen for their aesthetics, but rather for the imaginative use of teapots. My search brought up some interesting book cover art, and two of the books ended up on my "Maybe I should read this" Pinterest board. 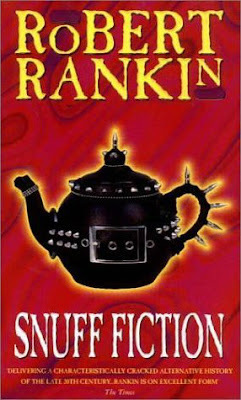 Finally, here is Robert Rankin's Snuff Fiction. 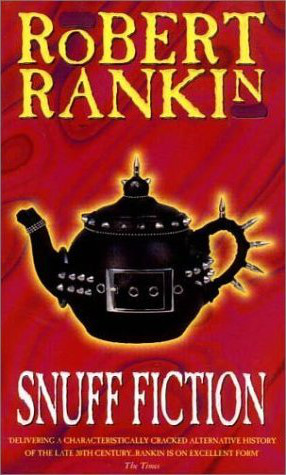 Just feast you eyes on this - have you ever seen a punk/goth teapot before? Me neither. 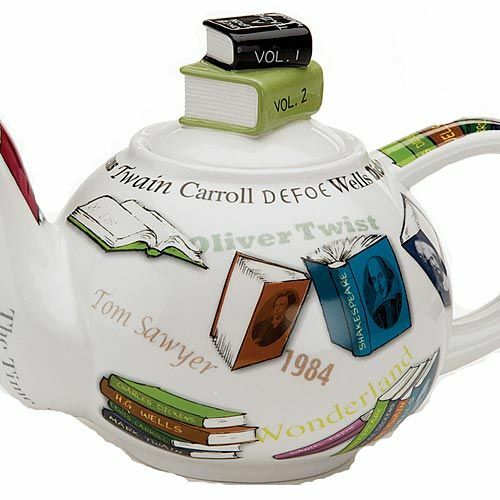 I couldn't resist adding a little bonus - after all, what tea-loving reader wouldn't want to own a book teapot? 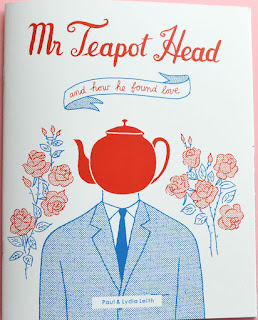 You picked some nice covers but I have to say I love that bookish teapot the most! Glad you could join us! I'm surprised more people don't join. This is such a great meme! I think The Ugly Teapot is so gorgeous!